KariAnne Wood of Thistlewood Farms offers practical tips and inspiring ideas in her new book so you can decorate it yourself! 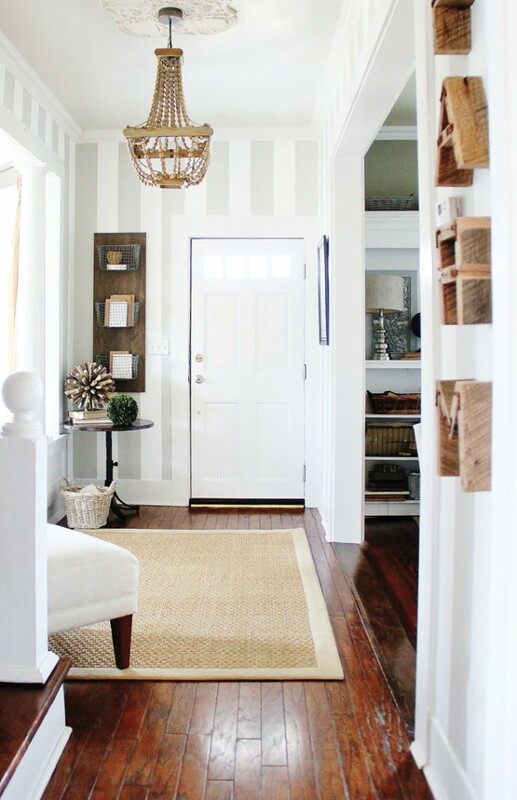 Hardwood floors are great for heavy foot traffic in your entryway. Overhead, a single light fixture complements these soft colors. Sometimes it can be difficult to move from inspiration to the practical details of decorating a room. KariAnne Wood of Thistlewood Farms is a pro at making these moments easier for everybody. 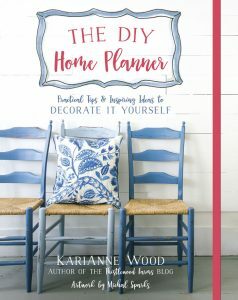 Wood’s new book The DIY Home Planner: Practical Tips and Inspiring Ideas to Decorate it Yourself explains the ethos behind creating a more functional, beautiful farmhouse that accurately reflects your tastes and design style. Courtesy of American Farmhouse Style, we’ve got a sneak peek inside the book to get KariAnne’s details on 5 farmhouse lighting options! 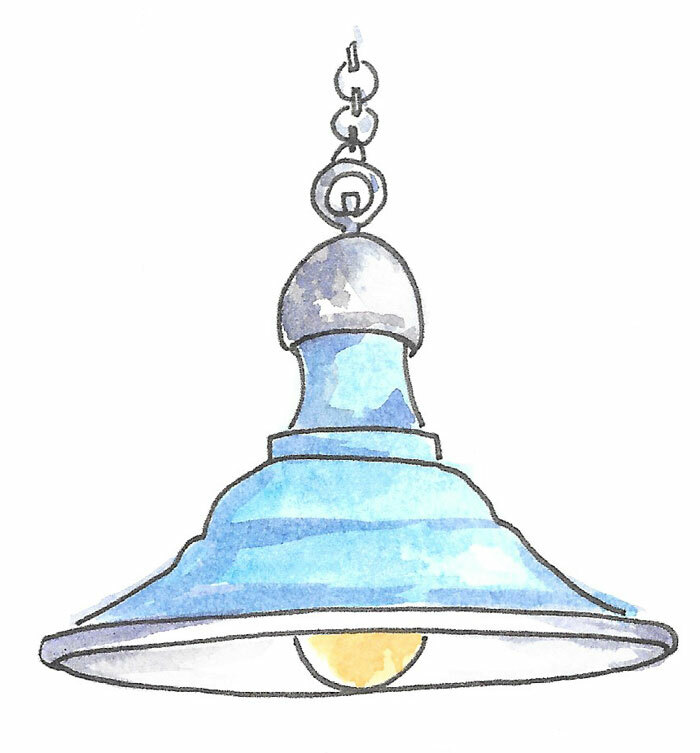 Author KariAnne Wood describes lighting as “a design speed bump” because it can be a difficult part of the décor planning process. But it’s also important. 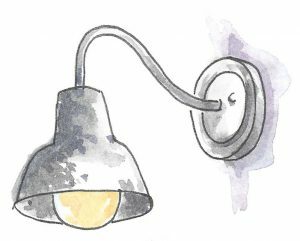 “Lighting has a way of illuminating and reminding us what’s truly important in life,” Wood writes. Chandeliers aren’t reserved for grand Victorian dining rooms. 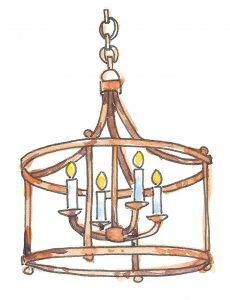 Add a wood and iron chandelier over your dining table or a glass and crystal chandelier over the free-standing tub in your bathroom for a chic contrast. Floor lamps come in all shapes and sizes. Because they don’t reach ever corner of the room, feel free to layer them with table lamps as well. Look for bases made of industrial metal or wood with a patina, and find a simple lamp shades to complement it. Look for aged metal with a time-worn patina for an authentic farmhouse feel. Illustrated by Michal Sparks. These lights are attached to the wall, and they often come in pairs. They’re great for porches, nooks, bathrooms and hallways, as they don’t take up much room and don’t require a cord. Look for sconces with galvanized metal for a rustic look. Most often seen on bedroom nightstands and living room side tables, the table lamp is a versatile option. They usually require a place to plug them in, so make sure it’s not placed in a high traffic area where the cord can be tripped over. They are also a great base layer to pair with a similar floor lamp. From retro metal to chic glass-covered pendants, these hanging lights are similar to chandeliers but with a more casual look. While the most popular place for them is over the kitchen island or sink, they also work well over dining room tables or above a living room coffee table. Pendant lights create a focal point in any room and provide light in hard to reach areas. 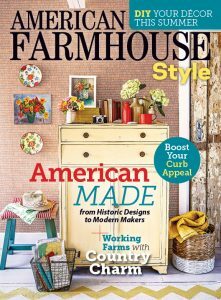 This story originally appeared in the Summer ’18 issue of American Farmhouse Style. You find this issue on newsstands now or online here. For more home-grown inspiration, you can follow American Farmhouse Style on Facebook and Instagram.